The Aquascape Rainwater Harvesting System (previously branded RainXchange) adds the beauty of a water feature to a rainwater collection system for capturing, filtering, and reusing our most precious resource – water! 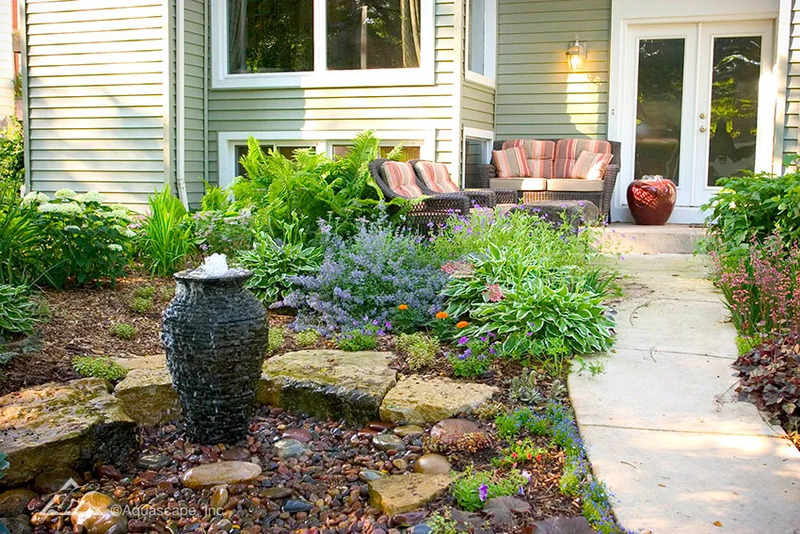 Whether you choose a Pondless® Waterfall or bubbling urn to your landscape, you’ll be happy knowing your rainwater harvesting system not only looks great but is beneficial for the environment, too. Accessing the stored underground rainwater for reuse is easy as connecting a hose to a spigot. A small water pump is connected to the stored rain water making it convenient for you to water the landscape. For more information on how the Aquascape Rainwater Harvesting System works, download your free copy of the Rainwater Harvesting Guide. Ready to Start Collecting Rainwater? 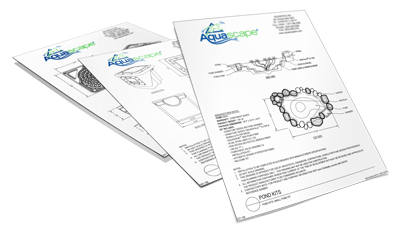 The Aquascape Rainwater Harvesting Calculator provides an estimate of how much water could be collected and offers suggested kits that meet your project requirements. Water is quickly becoming an “endangered species” on our blue planet. Urban growth increases storm water runoff, which in turn harms natural waterways. All life requires water for survival. Becoming aware of the current state of our environmental condition is the first step in identifying viable solutions to ensure clean and healthy water for future generations.